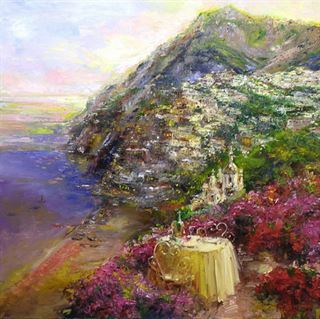 Positano con Amore| Painters Chair Fine Art in Coeur d'Alene, Idaho features original paintings, sculpture, prints and much more. Positano is a beautiful and romantic village nestled in the Amalfi Coast of Italy. I've been many places, but Positano remains one of my favorites.